And another hi-def hello to all our fellow physical media geeks out there. 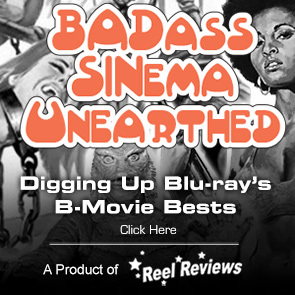 Welcome to our weekly look at the most wanted titles coming to blu-ray and 4K Ultra HD. This week in blu-ray brings a wondrous slate of new titles on blu-ray and 4K UHD with three of those coming to home video for the first time. First up is a new movie making its home video debut. 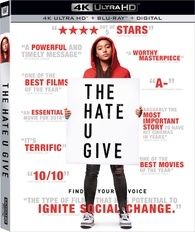 The race-relations drama called The Hate U Give is getting a two disc blu-ray and a 4k UHD release this week. And the second of the new films getting the hi-def treatment is Universal Studios' Rowan Atkinson comedy Johnny English Strikes Again. The film gets a 4K Ultra HD edition as well as a blu-ray + DVD + Digital HD release. Criterion follows up last week with another notable release in the form of the Romanian arthouse film called 4 Months, 3 Weeks and 2 Days that is directed by Cristian Mungiu. Shout Factory comes through big again this week with three titles that are getting collector's Edition releases. 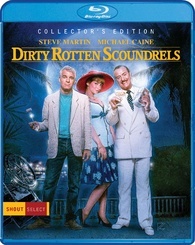 The Frank Oz comedy, Dirty Rotten Scoundrels is getting a new 2K remaster and a new interview for its release while the Collector's Edition for Sylvester Stallone's actioner Cobra will feature a new 2K remaster and five new interviews. Shout Factory is also putting out a Collector's Edition of the Charles Bronson crime thriller 10 to Midnight that comes with a new 4K remaster plus four new interviews and a new audio commentary from film historian Paul Talbot. 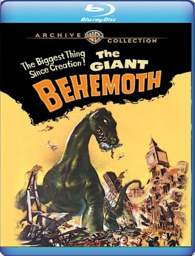 Universal Studios is putting out a blu-ray + digital release of How to Train Your Dragon 1 & 2 while Warner Bros. goes all classic monster on us with a dip into its Warner Archive Collection to release 1959's The Giant Behemoth which will feature a brand spanking new 2019 remaster of the film. 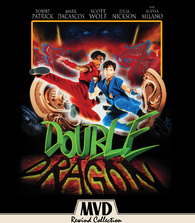 Evil meets its match in the MVD Visual blu-ray + DVD release of Double Dragon that comes with a couple of new featurettes while Arrow Video revisits the most expensive film ever made at the time of its release with its two-disc Limited Edition release of Kevin Costner's Waterworld which gets a new restoration from a 4K scan of the original negatives. The set will include the original theatrical cut in addition to the US TV cut and the extended European "Ulysses cut," postcards, posters, booklets, galleries, featurettes and additional footage. This is looking like a fantastic edition, folks. 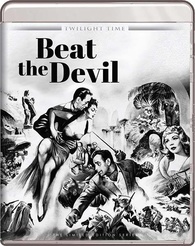 Twilight Time is making a splash this week with its Limited Edition release of John Huston's 1973 crime thriller Beat the Devil which will have a production run limited to just 3000 units and will feature the 2016 restoration of the original un-cut film. The film is an outright classic and stars Humphrey Bogart, Gina Lollobrigida, Peter Lorre, and Jennifer Jones. 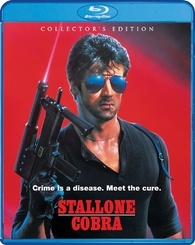 And finally, our Most Wanted title on blu-ray / 4K Ultra HD this week. 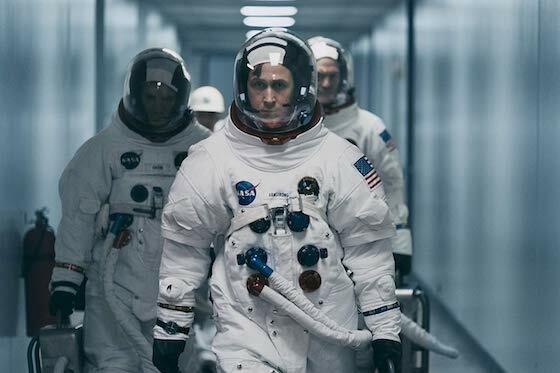 Damien Chazelle's space drama First Man is getting a 4k UHD and a Blu-ray + DVD + Digital HD release. Our expectations are sky-high for this release. 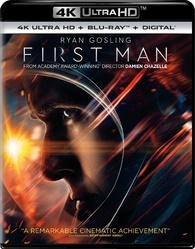 The disc comes with a full slate of extras including, deleted scenes, eight bonus features, a feature-length commentary with director Damien Chazelle, screenwriter Josh Singer, and editor Tom Cross. 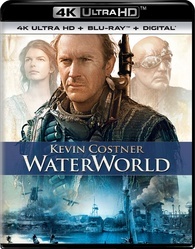 Waterworld stars Kevin Costner (The Untouchables) as The Mariner - a mutant trader, adrift in a dystopian future where Earth is submerged under water and humankind struggles to survive on boats and in ramshackle floating cities. The Mariner becomes embroiled with the Smokers, a gang of pirates who, led by villainous leader Deacon (Dennis Hopper, Blue Velvet), are seeking Enola (Tina Majorino, Napoleon Dynamite), a girl with a map to the mythical realm of “Dryland” tattooed on her back. 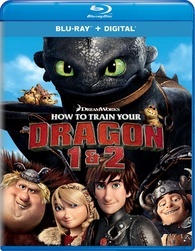 How to Train Your Dragon 1: A young Viking named Hiccup lives on the windswept island of Berk, where his father Stoic the Vast is the tribe's feared chief, and fighting dragons is part of every young warrior's training. But Hiccup's destiny of becoming a prized dragon fighter takes an unexpected diversion when he saves and befriends an injured dragon, Toothless. Hiccup now embarks on a mission of his own to convince his tribe to abandon its barbaric tradition of ruthless dragon-slaying and try out some new methods. How to Train Your Dragon 2: When Hiccup and Toothless discover an ice cave that is home to hundreds of new wild dragons and the mysterious Dragon Rider, the two friends find themselves at the center of a battle to protect the peace. Charles Bronson plays Leo Kessler, a cynical Los Angeles cop on the trail of Warren Stacy (Gene Davis), a homicidal maniac who turns rejection from beautiful women into the ultimate revenge. When the legal system sets Stacy free, Kessler plants evidence to put him behind bars for good. But Kessler's plan backfires, leaving him with only one option: to hunt down Stacy on his own ... before the crazed killer can strike again! It's the year 2007, and what remains of L.A. is now ''New Angeles'', a city ravaged by earthquakes, tidal waves and vicious gangs. The evil tycoon Koga Shuko (Robert Patrick, Terminator 2: Judgment Day) is obsessed with finding the two halves of a talisman known as the ''Double Dragon'', which will give him awesome mystical powers. Two teenaged brothers, Jimmy (Mark Dacascos, John Wick 3) and Billy Lee (Scott Wolf, ''Party of Five'') find themselves in possession of the amulet's missing half, thrusting them into the adventure of their lives. With the help of Maria (Alyssa Milano, ''Charmed'') and her vigilante group ''The Power Corps'', Jimmy and Billy must summon all of their courage, resourcefulness and martial-arts skills to stop the villain's malevolent plan. In this one, everything goes amusingly wrong for its gallery of liars, thieves, and fantasists, including Humphrey Bogart, Jennifer Jones, Gina Lollobrigida, Robert Morley, Peter Lorre, and Edward Underdown. Even more amusingly, they hardly care, so enraptured are they with each other’s company and with the gorgeous Italian scenery, magnificently shot by the great Oswald Morris.